Talk Nerdy To Me: Nintendo 3DS - I hit the like button. Nintendo 3DS - I hit the like button. I’ve had my hands on the Nintendo 3DS for a week now. I have the DS, DSi and the Wii so I was excited to give it a run and see if it was really worth $250. My final thought: like it – two thumbs up. 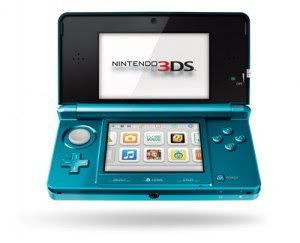 Its definitely an upgrade from the previous DS line with cool new capabilities that both kids and gamers alike can appreciate. Plus I like that my DS games still work with 3DS. My only wish is that it was at $200 for a more consumer friendly buy but understand it just hit the market. I think it will be on par with Kinect excitement in the marketplace. But of course it will come down in price perhaps even by holiday. *Glasses free (the obvious) Note - there is a 3D slider button to increase or decrease the 3D capability – so you can turn it off if you want. Note - you really have to be in the sweet spot to get the 3D picture. *Ability to create your own Mii (avatar) – The Wii offers something similar but whats awesome about creating your own Mii on the 3DS is you take a picture of yourself first and then tweak from there. *Charging cradle – previous DS models did not have a cradle. *Street Pass – New feature that allows you to swap info with other users. 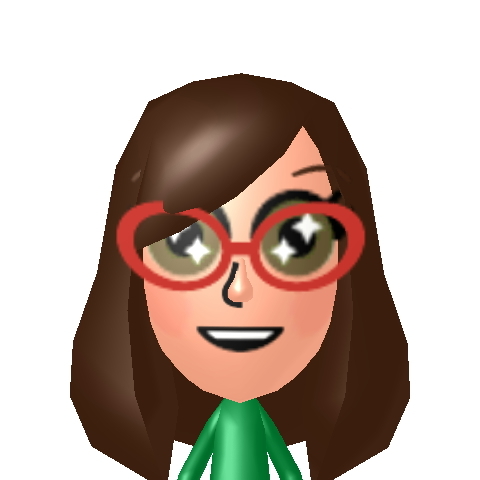 Basically you enable your Mii with a message to send your message to ANYONE you pass on the street with a 3DS. Privacy concerns? – Note you have to enable this feature. *AR Games – the 3DS comes with augmented reality cards in the box. This is something to see to believe. Once the 3DS spots the card it creates a full interactive mini game. Its pretty awesome! And I learned from Gizmodo that there is an Android app (3DS AR Games) that allows you to view off a device (did this on a Xoom) instead of taking the cards with. *Games -I’ve tested with a few games that came with but one of my favorites is the built in Face Raiders. You take pictures of someone’s face and they pop up in the screen to shoot as a target. If you walk around with the device and it picks up another face it will add it to the game. *As noted the 3DS has the look and feel as the others in the DS lineup. There are a few added buttons like a home button and an analog button for added movement and the screen is 10% larger. *Built in pedometer encouraging and tracking movement. Enough steps can earn you coins for bonus content. Meh, kinda boring. *At launch there will be a bunch of games including but not limited to; Nintendogs and Cats, Steeldiver and Pilotwings Resort (similar in fashion to Wii Sports Resort). 30 titles will be available by June. I played with it at the Best Buy demo station... very impressive! I'm wondering about the 3-D photos you can take... how good are they and how are they exported? The pedometer -> coins thing is actually really brilliant. You can use the coins to unlock additional AR card games, and to buy additional warriors for the StreetPass quest game. I love some of the online and Internet features in the 3DS too, and StreetPass is actually really cool, I don't really have any privacy concern as the information you share beyond the Mii and basic preferences is so simple that I doubt it could cause many issues. good note on the pedometer andy - made me rethink that one. StreetPass definitely not a privacy issue but you know how some people are!